This article is from an interview with Utah DUI defense attorney Jason Schatz. This portion addresses common inaccurate beliefs people have about Utah DUIs. Interviewer: What are the top misconceptions people have about being arrested for DUI that you have to explain or dispel? 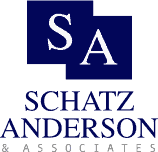 Attorney Schatz: Probably the most common misconception I hear in Utah is that people seem to be under the misunderstanding that even if they get a DUI, that they’re capable of getting a work permit so that at least they can drive to work or school. Under Utah law, there is no such thing as a work permit in the case of a DUI. Utah law specifically prohibits the issuance of a work permit in the case of a DUI suspension. I think a lot of people are unaware of that because they hear about friends in other states who’ve gotten a DUI and ended up getting a work permit. But Utah law just doesn’t allow for it, period. That’s one of the most common things that people are misadvised about because they talk to their friend or their neighbor or relative in another state. Interviewer: As a licensed Utah driver, are you required to submit to an impairment test if asked by a policeman? Attorney Schatz: In a way, yes. The common misconception is with regard to refusing to submit to a chemical test. In Utah, refusing to submit to a chemical test in and of itself is not a crime, but there are consequences for doing so. People are really shocked when they’re asked to take a breath test and they tell the officer no because they don’t believe that the breath test is accurate or for whatever reason. The officer then marks them as refusal, and then that person is subject to an 18-month driver’s license suspension, as well as a three-year ignition interlock restriction. Once you’ve been placed under arrest and the officer is then requesting that you submit to an Intoxilyzer test, that’s when the implied consent law requirement kicks in, which indicates that anybody operating a vehicle in the State of Utah, if an officer has reason to believe you’re driving under the influence, he has the right to request that you submit to that chemical test. In Utah, the officer also gets to choose which of the tests you perform, whether it is breath, blood, or urine. The officers here actually can request multiple tests. They can request breath and blood, or blood and urine, whatever they prefer, versus some other states where the individual, the driver, gets to choose. We explain all this to people afterward and so many times I hear people say, “If I knew that’s what the real consequences were, I certainly would have taken the test.” Once you say no and the officer seeks a warrant, it’s too late to change your mind, even if you figure out while you’re being arrested that the consequences of refusing are far too severe. It’s not possible for you to go back on your decision. Interviewer: Does Utah use preliminary breath test devices at the roadside? Attorney Schatz: Yes, and that’s another thing that’s very confusing to people. Almost every law enforcement agency, the vast majority of officers—especially ones that are out on DUI patrols in particular—do carry PBTs or preliminary or portable breath tests. One of the things people don’t realize is that under Utah law, you’re not legally obligated to submit to a portable breath test, unlike the chemical tests. The portable breath test, or PBT, is inadmissible in the State of Utah to actually say what the number on the test was. At most, the officers are allowed to indicate whether or not it was positive or negative for the presence of alcohol. Officers do rely very heavily on those portable breath tests to decide whether to arrest somebody. Interviewer: I can see how that could be very confusing. When you say to people, “You can’t refuse the breath test,” what you are really saying is that you can’t refuse the tests after being arrested. You can refuse the portable breath test. Right? Attorney Schatz: Right. Here’s the perfect example. I was just speaking with a client today who had his license suspended for refusal. The officer, before he arrested him, asked him to submit to a portable breath test. The client agreed. He submitted to the test. Despite being trained otherwise, the officer actually showed him what the result was, and it indicated a result of 0.156. Then he arrested my client. Then the phraseology he used is, “Well, now you’re under arrest. I hereby request you submit to a breath test.” The client’s response was, “What do you mean? I already did a breath test. I just gave you one. You showed me what the number was. I’ve already completed a breath test.” In that situation, the officer never took the time to explain to him that that preliminary portable breath test that he had already performed was not admissible in court to give the number. The client didn’t know that. He just thought the officer was giving him a hard time and asking him to take the same test over again, so he told him no. He suffered the consequences of a refusal, when in fact the confusion was caused by the fact that the officer didn’t do his duty in explaining the difference between the two tests and that the second test he was asking him to take was the official, admissible test, which is the Intoxilyzer versus the little handheld machine that he had already blown into. Interviewer: What other common misconceptions do people have? Attorney Schatz: I think people don’t understand the long-term consequences of a DUI. They’re familiar with other minor misdemeanor offenses, but they don’t quite comprehend all the collateral consequences of DUI—such as, if you’re arrested and convicted of DUI, you become an ignition interlock-restricted driver for 18 months, even on a first offense, regardless of what your criminal history is and regardless of what your blood alcohol level is. Utah also has an alcohol-restricted driver statute, which stipulates that anybody convicted of a DUI is classified on a first offense for two years, and on a second offense for 10 years, as an alcohol-restricted driver, which means they’re prohibited from driving any vehicle with any measurable amount of alcohol in their system. They don’t comprehend that there is going to be additional consequences over and above even jail, community service, a fine, and having to attend classes and an educational series. Another example is that people who get DUIs are restricted from traveling to Canada for a period of 10 years. There are just a lot of different consequences that most people don’t think about when they get the DUI until after it’s too late. Honestly, I can tell you that—especially for some of my first-offense clients—the worst consequence they derive from the DUI conviction is not the fine, not the community service, and not the class. It’s the suspension of driving privileges. Because Utah does not have work permits, many people, if they lose their license, they may lose their job. For example, this will likely occur if they are employed as a commercial truck driver or they drive a company vehicle or drive somehow for their job. And some people simply can’t get to and from work because of the lack or difficulty of using available public transportation. The driver’s license aspect of it, in many situations, is probably the most important aspect of the case. The way you handle the driver’s license hearing can actually have an impact on the outcome of the criminal case. If the driver’s license hearing goes well and you can prevail there, oftentimes that signals to the prosecutor that you have got some legitimate arguments and defenses, which either results in a better plea deal on the criminal case, or the facts that you can uncover during the driver’s license hearing can then be used later on to help defend you on the criminal case. Interviewer: There seems to be an idea that only certain kinds of people get arrested for driving under the influence, like party-goers or people with criminal intent. What would you say about that impression? Attorney Schatz: I’ve found that DUIs can happen to just about anybody. I’ve represented doctors, lawyers, construction workers, postal carriers, real-estate agents, college students, judges, and kids—all different ages, genders, races, and occupations. It’s one of those offenses that, if you consume alcohol during your life, or take any kind of drug, including prescription drugs, at some point you’re likely to get pulled over if you are driving after you’ve had something to drink or consumed drugs. Once you come into contact with an officer after you’ve consumed drugs or alcohol and you’re driving a car, regardless of what your level of intoxication or impairment is, there’s a pretty good chance you’re going to get arrested and have to defend yourself. I would say it’s one of the few criminal offenses that is level across the board as far as who is subject to be arrested and who’s affected, versus violent crimes and drug crimes, which tend to be more isolated into people who are less financially secure and less educated and so on. DUI seems to happen to just about anybody. Interviewer: You don’t see any bias in terms of gender or age, right? Attorney Schatz: No, surprisingly. When I first started practicing 10 years ago, it seemed like there was a much higher percentage of male offenders. I wasn’t sure if I could attribute that to the fact that males had a tendency to drink more, or if males, when they go out, are usually the driver and the female is the passenger. Over the years, I’ve actually noticed an increase in the percentage of females there are being arrested and charged with DUI, particularly as it pertains to prescription drugs. I find that more often, my prescription drug DUI clients are female rather than male.